Oh my glory! Dragon Fruit (or you might recognize it as Pitaya) is SOOO healthy for you! Why do I not use this fruit enough? 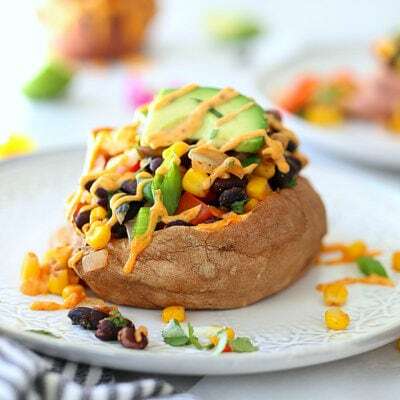 Do you ever choose foods you want to eat based off color? My kids do – probably because we truly do eat with our eyes and there is no better way to express that then from the eyes of a toddler. 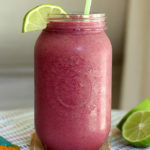 The smoothies we like to make are usually based off of what color the kids want at any given day. A green one? Well that means green apples, kale, apple juice, etc. or a matcha smoothie bowl. A purple one? How about a matcha berry smoothie or blueberry banana smoothie? What about red? Strawberries, cherries, banana and milk! 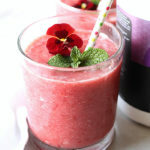 Or how about magenta pink for Valentine’s Day!…..
You see, this smoothie all started when Mini-Me (that would be little C- so many nick-names for my little taste testers) really wanted a red or pink smoothie as we were grocery shopping looking at the frozen fruit. Right then we grabbed a packet of frozen dragon fruit and added a few strawberries, bananas and protein into the mix for extra vitamin C, potassium and protein. Here is where the fun part comes in. 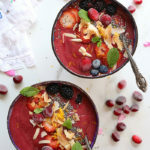 I always leave a batch or homemade chia pudding in the refrigerator for an easy breakfast to top with fruit and granola. 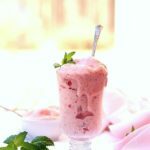 This time I added it under the smoothie for a fun colorful treat that has a delicious frozen yogurt consistency! Boy does dragon fruit smoothie packets need to be in my freezer WAY more often! 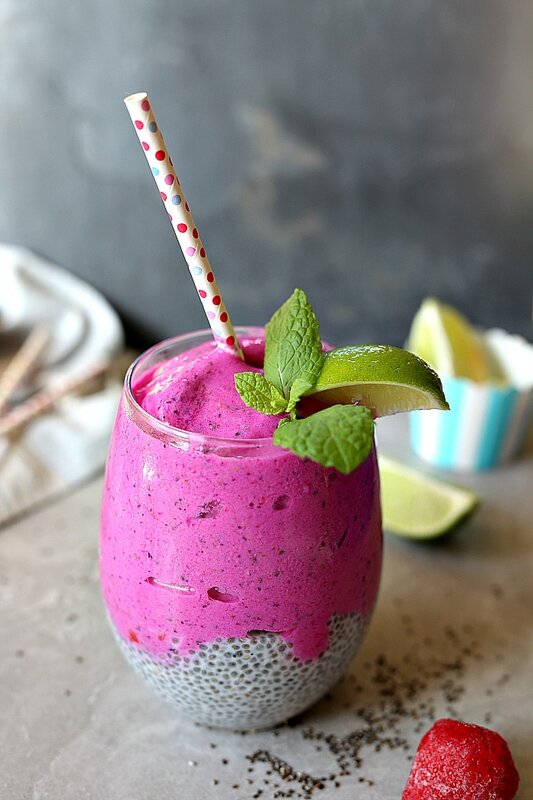 This dragon fruit smoothie has become very popular over here thanks to its fun color! Like I mentioned, the fruit packets can be found in the freezer section at most specialty grocery stores (I use PitayaPlus) but you can also use the flesh of fresh pink dragon fruit (the skin is not edible) as well – although I have not tried that route to say exactly how much to use. 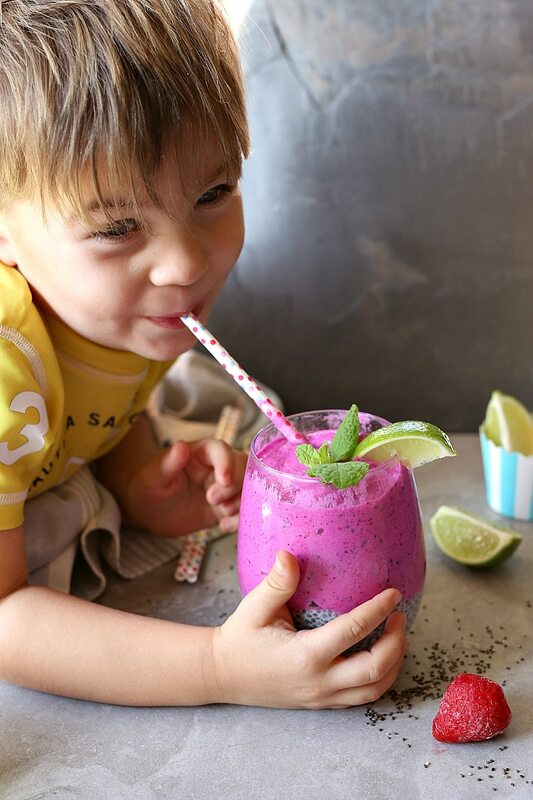 Little C was a big fan of this dragon fruit smoothie and ate half with a straw then finished off the rest with a spoon – like eating pudding! Now another fun part – dragon fruit is rich is so many nourishing vitamins and minerals and thanks to fiber can help keep you full from breakfast all the way till lunch! This smoothie recipe itself has a total of 13 grams of fiber and 14 grams of protein (protein aids to keep you full longer too)! Dragon fruit nutrition is high in vital vitamins and minerals and is one of the most abundant of foods – that is why it called a superfruit superfood! According to Dr. Axe, dragon fruit is great for boosting the immune system, aiding in digestion, stabilizes blood sugar, aids in heart health and is anti-aging! The little black seeds in dragon fruit are rich in delivering omega-3 and omega-6 fatty acids in the body and the fruit is high in fiber, magnesium and riboflavin, not to mention it is low in calories! Cut the fresh fruit open in half and slice out the flesh into chunks and enjoy as a healthy snack, over yogurt or with granola. Our favorite way to eat dragon fruit is in smoothies and smoothie bowls. You can also add about 1/2 a packet of frozen dragon fruit to vegan cheesecakes such as these to turn them into pretty magenta mini cheesecakes! 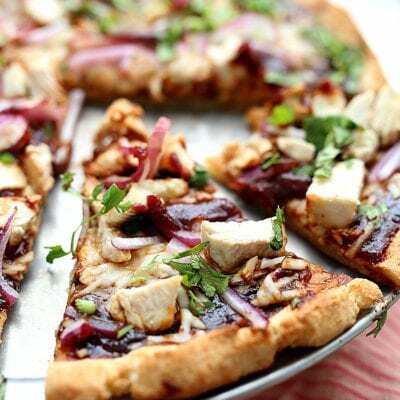 Just add it during the blending process before pouring it over the nut date crust. 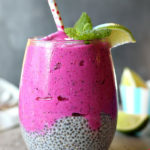 Do all these chia seeds and dragon fruit health benefits have you convinced how amazing and healthy this smoothie is? Plus it is SOOO delicious and it really does taste like a creamy frozen dessert treat! I don’t know about you but I could sure use some dessert, clearer skin and any extra natural energy. 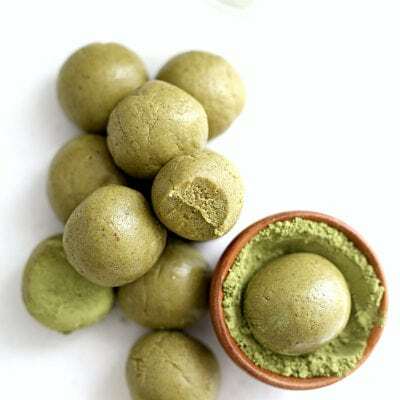 So lets have some and bring on the beautiful skin, healthy heart and extra nourishing energy boost! 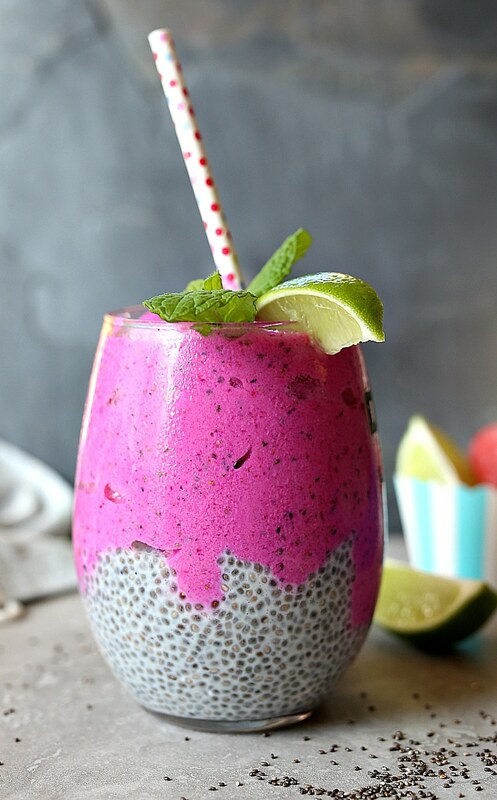 Vibrant pink dragon fruit smoothie topped on creamy chia pudding! 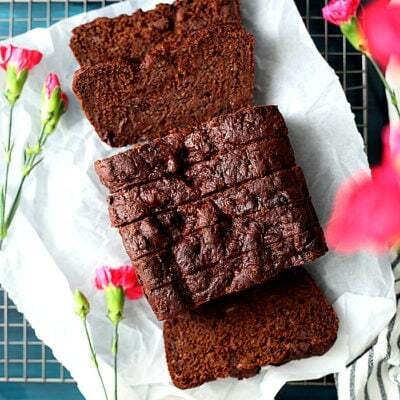 It is a high fiber energizing superfood and is the perfect way to start your day, eat as a snack or enjoy after a workout to refuel your body! Make the pudding 3 hours to 1 day in advance:In a small bowl or mason jar with a lid add the milk, chia seeds and maple syrup. 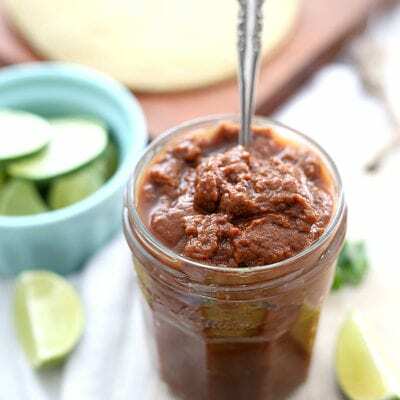 Mix well in a bowl or add a lid to the mason jar and give it a good shake to mix. If the chia seeds start to stick use a whisk to mix and separate them. Set the pudding mixture in the refrigerator for 3 hours or overnight. Seeds may stick together while it sets so mix it up really well and frequently while it sets. 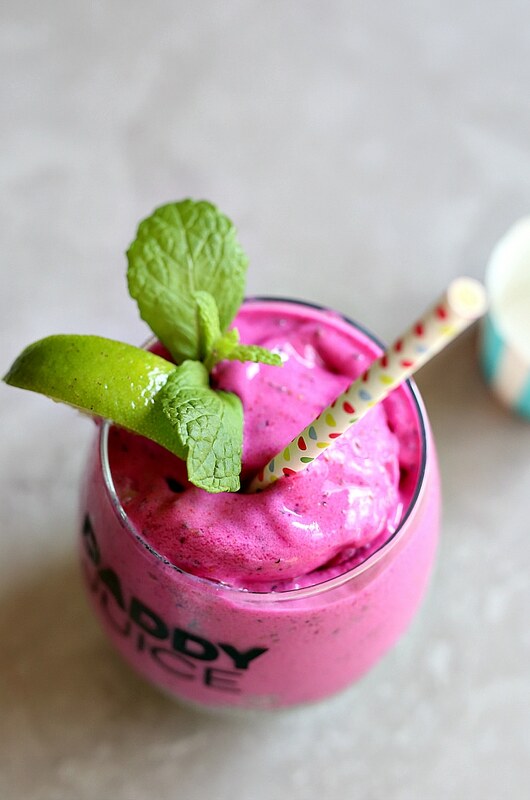 Combine dragon fruit, strawberries, banana, protein powder and apple juice in a blender. Blend for about 30-45 seconds until very smooth. 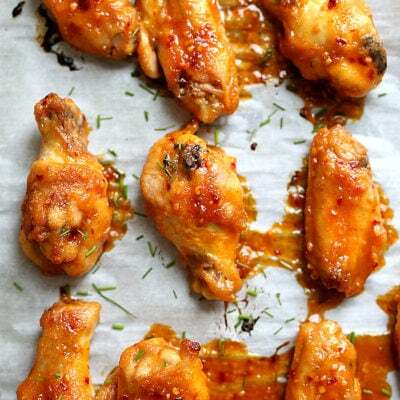 Add a few drops of liquid Stevia or more maple syrup for a sweeter taste. 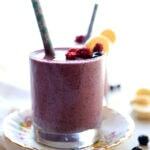 In two cups add the pudding into each cup then top with the smoothie. Optional to add a splash of lime. This is gorgeous! My kids would love this for Valentine’s Day – I’ll have to see if I can get my hands on some dragon fruit out here in the middle of nowhere!